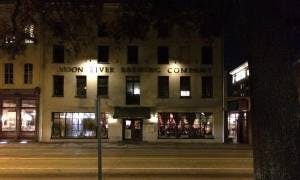 Where are the Hauntings of Old Savannah GA? They are all around us. Some are in the most unlikely places you wouldn’t even notice. That’s why you need a dedicated and experienced Ghostwalker; like me to lead you to them and tell you, The Savannah Ghost Story . We have secret cemeteries and burial places our fore fathers have built right on top of all over Old Savannah. Now if somebody dropped a building on top of your grave wouldn’t you feel like letting someone inside of that building know you are there? Residual hauntings is what we call those, and Old Savannah has a lot of them! The Hauntings of Old Savannah will reach out to you. 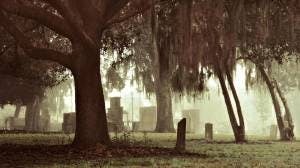 Many have visited Haunted Savannah and “felt” something while visiting these sites. Others have gotten pictures. Now it’s your turn to have that experience! Ghostwalker Tours makes every effort to try and cover as much ground as possible during the 2 hour tour to help you visit as many of the Hauntings of Old Savannah GA. Together we walk down the Oak tree lined streets, dripping with Spanish moss, and around the beautiful lighted squares at night where the spirits are most active. 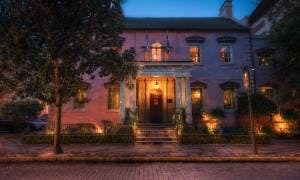 One can not help but feel the Hauntings of Old Savannah GA all around you as you pause in front of these old homes; and experience the ambiance and night song in the air. It is a chilling experience to stand at the fence of Colonial Park Cemetery and peer inside and reflect upon the more than 8,700 dead Savannah citizens laying in it’s 6 acre’s; with only 651 marked graves left standing. Hear the story of why their graves now lay in oblivion. Only Ghostwalker Tours brings the Hauntings of Old Savannah GA “alive”! The Sorrel-Weed House has several ghosts lurking inside its 16,000 square feet. 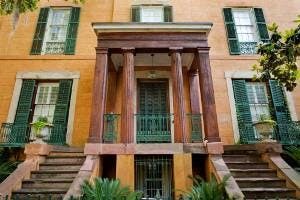 Started in 1834 and completed in 1840, it is considered one of the 10 most haunted houses in America. Murder, suicide, and it’s built on top of a Battlefield.